In 2007, Dr. Michael Keidar founded The Micro-propulsion and Nanotechnology Laboratory (MpNL) at the George Washington University (GWU) to expand our understanding of plasma and nanoscale phenomena. MpNL researchers focus mainly in three plasma-related applications: (1) propulsion, (2) nanotechnology, and (3) biomedicine. MpNL research approach combines theoretical and empirical activities in synergy. Our theoretical research is primarily focused on developing analytic models and simulation methods, while our experimental activities aim to validate theoretical models or offer insights not provided by theory. MpNL has an array of sophisticated instrumentation and infrastructure to support fundamental and applied research in plasma and nanoscale physics. MpNL has ongoing collaborations with the GWU Institute for Nanotechnology and Plasma Medicine Program (GWIN/PMP), The GWU School of Medicine and Health Sciences (SMHS), other universities, and government laboratories. A post-doctoral position is opening immediately in the area of plasma medicine (in vivo applications of cold plasma). The candidate should have a PhD or MD in the biomedical field. Strong experience in working with lab animals is desirable. Interested candidates should email CV to Prof. Michael Keidar at keidar@gwu.edu. A PhD student position is opening in the area of cold atmospheric plasma (CAP) for medical application. The main area of research will consist in developing a prototype to activate cancer cells by adaptive CAP. Candidates with a background in electrical engineering or electronics are highly welcome. Interested candidates should send their CV to Prof. Michael Keidar at keidar@gwu.edu. 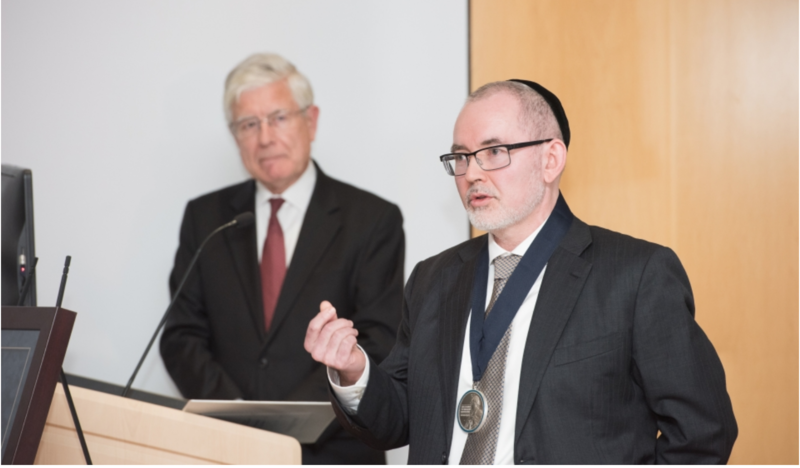 Dr. Keidar was recently installed as the A. James Clark Professor of Engineering. For the GW Today article, click here ! In this video, Dr. Keidar discusses the use of cold plasma to treat cancer cells. read special issue on plasma medicine published in Plasma journal! read perspective on plasma treatment of cancer! CANYVAL-X satellite with cathode arc thruster launched! MPNL to participate in NASA's CubeSat Launch Initiative. GWU thruster licensed by Vector Space. GWU Researchers’ Plasma Thruster Reaches Space. Visit the GW Institute for Nanotechnology and Plasma Medicine Program! MPNL receives grant to expand research on plasma-based cancer therapies.